On 27th April, the project CIER (Converged Infrastructure for Emerging Markets) was decorated with the Celtic-Plus-Award in the category ”Excellence“ in Vienna. CIER pursues the aim to connect the rural areas in Europe and Africa to the broadband-network. 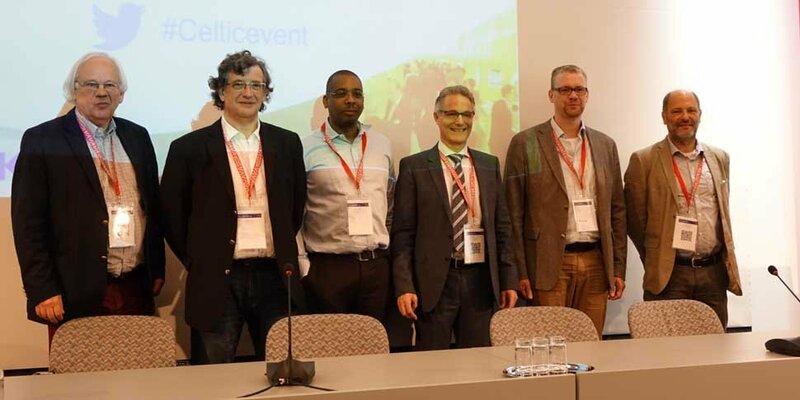 Fraunhofer FOKUS was involved in the CIER-Project with the Wireless-Backhaul-Technology WiBACK. Under the leadership of the Competence Center NET, the international team developed a plug and play directional radio system that configures itself and provides high speed internet connectivity to rural regions in an uncomplicated manner. In particular regions with low population and poor infrastructure can get high speed internet access even without network specialists. The aim of CIER was to develop an energy efficient, robust and cost effective system that can build up a reliable network covering vast distances in not easily accessible regions. The focus of the project was the Wireless-Backhaul-Technology WiBACK, a self-configuring and self-administered system that distinguishes itself in particular through the low investment required and the low running costs. The design phase of CIER began in 2011, what followed were first prototypes and field trials in Germany. In the third phase the field trials were expanded to Tanzania. Here, through a 90 kilometer long network, three schools and one hospital could be reliably connected to the internet. The final architecture is based primarily on concepts of the Wireless Software-Defined-Networking (SDN) and is therefore not only 5G ready but contributes to the research and development of future 5G architectures.